This is a cake I created for a lovely couple, Rich and Natalie. 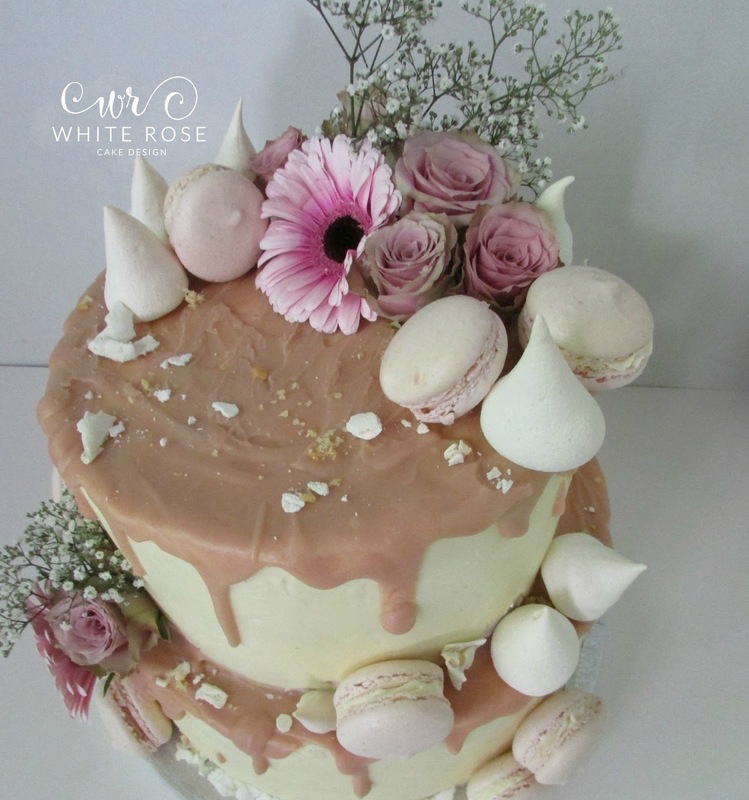 They had seen a design online by Anges de Sucre and asked if I could create something similar, so I had a go! 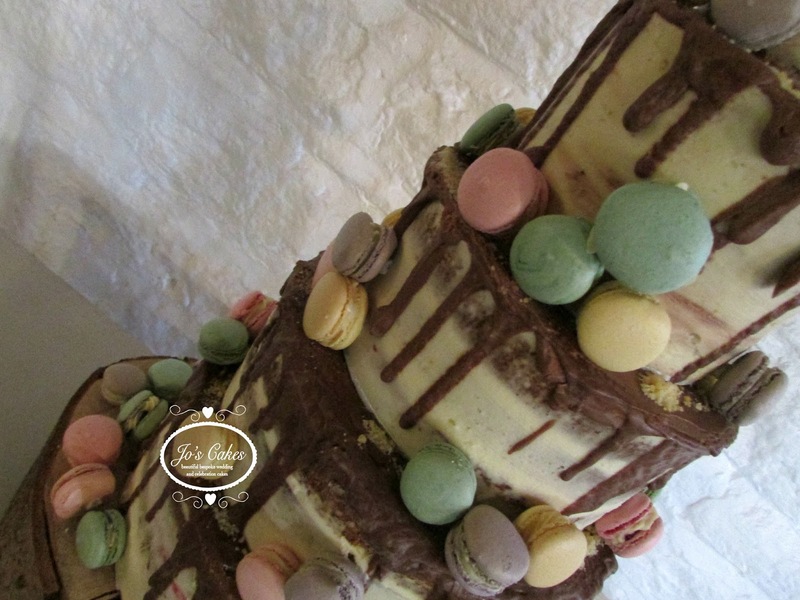 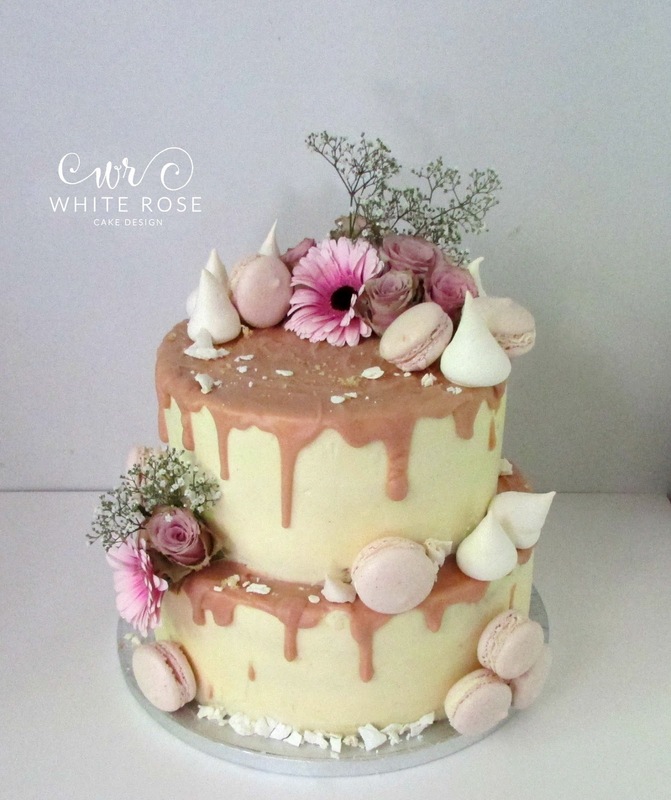 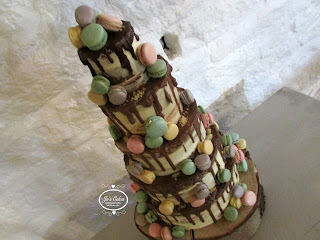 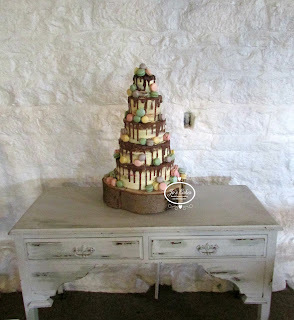 Five tiers of cake finished in a semi-naked style, topped with chocolate ganache drips and decorated with different flavours of macarons in different pastel shades.